People who have better understanding of finance are less likely to be worried about the later stages of their life, a new study has found. It seems financial literacy – the ability to understand how money works, enables people to accumulate more assets and income during their lifetime, and so increases confidence for the years ahead, researchers said. The findings, from Associate Professor Yoshihiko Kadoya of Hiroshima University and Mostafa Saidur Rahim Khan of Nagoya University in Japan, stem from a study which asked people questions assessing their calculation skills, understanding of pricing behaviour, and financial securities such as bonds and stocks. The study suggests that men, and those with a higher level of education are more financially clued-in than women, and those with less education respectively. Financial literacy increases our awareness about financial products, builds a capacity to compare all available financial options, and changes our financial behaviour – all which bodes well for our perceptions of, and actual experiences during our seniority, said Kadoya. Married respondents had even lower levels of anxiety about growing old than financially literate singletons. This could be down to married couples together planning more-effectively for the future due to familial responsibilities. As people get older their anxiety levels drop off on gaining access to social security, government funded health care and pensions – all taking the sting out of the post- retirement blues. Having dependent children on the other hand increased anxiety levels – presumably due to respondent's worry for their children's wellbeing – as well as their own. 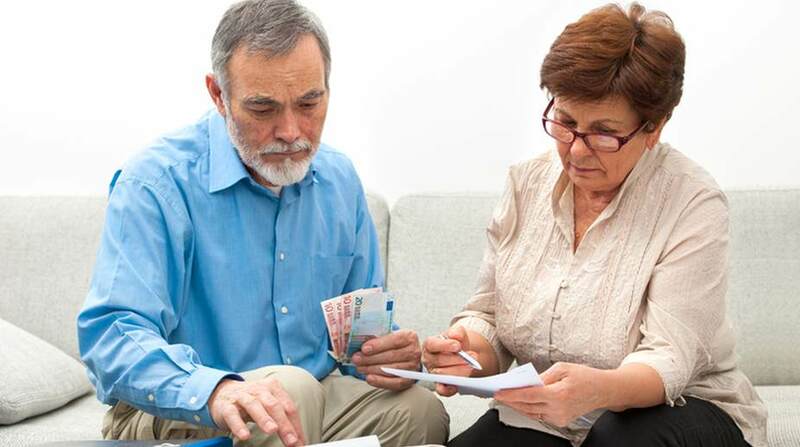 It is increasingly perceived that a pension is insufficient for daily expenses without a backup pool of savings and assets – putting the financially literate at a distinct advantage, researchers said.